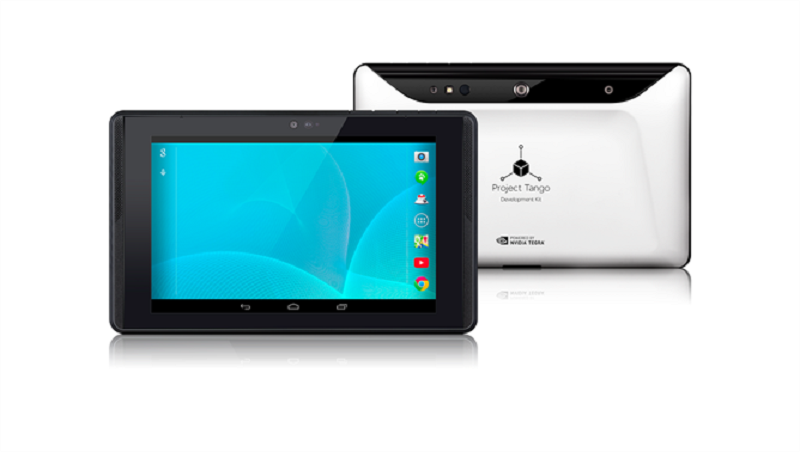 Google announced today the release of the Project Tango Tablet Development Kit, a 7-inch tablet that allows for 3-D mapping. The tablet will set developers back $1,024, but it will be worth it. The tablet is powered by Nvidia’s powerful new Tegra K1 mobile processor, and will feature 3D mapping. Basically, Google’s new tablet will allow for users to use the cameras on it to capture 3D images. Capturing 3D images has numerous potentials. It can allow for 3D scanning, face recognition, better virtual reality gaming, being able to control the tablet with gestures, and so many more possibilities. Basically, this tablet is a powerhouse. It also serves as a blueprint for Google’s plans to have an upcoming Project Tango Phone, which will also feature the advanced 3D imaging. While the Project Tango Tablet is currently only available to developers right now, it should be out for mass consumption later this year.